All ages welcome (but under 18′s must be accompanied by an adult)Fully licensed – NO BYO. Delicious food (including pizza!) available. 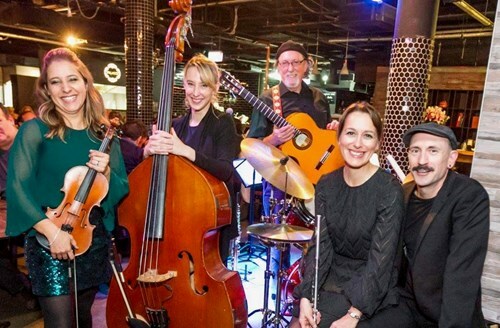 Drawing inspiration from Fado and folk tunes of the Iberian Peninsula and navigating the seas to Cape Verde and Brazil, Alma Orquestra will take you on a soulful journey from traditional to modern and original Portuguese song. Beautiful melodies, captivating rhythms, stunning improvisations - Alma’s irresistible music moves listeners to join them in joyful song and dance every time.